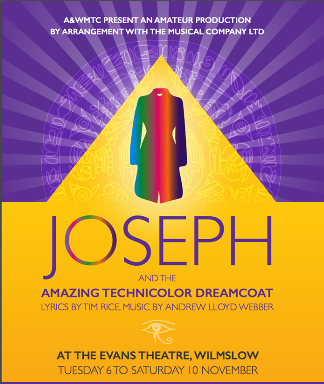 Retelling the Biblical story of Joseph and the coat of many colours, A&WMTC are delighted to bring this family friendly, magical musical to Wilmslow. It's full of unforgettable songs including Those Canaan Days, Any Dream Will Do and Close Every Door To Me. In celebration of its 50th Anniversary, this is the first time the full, unabridged, adult show has been given to amateur theatre companies.